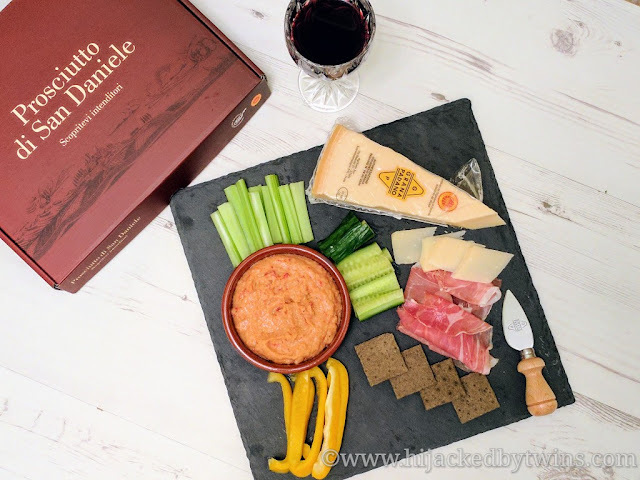 One of our favourite meals has to be cheese, meats and wine. When we have a date night at home this is our go to treat. The kids in bed, a movie and quality cheese, meat and wine. Perfect. 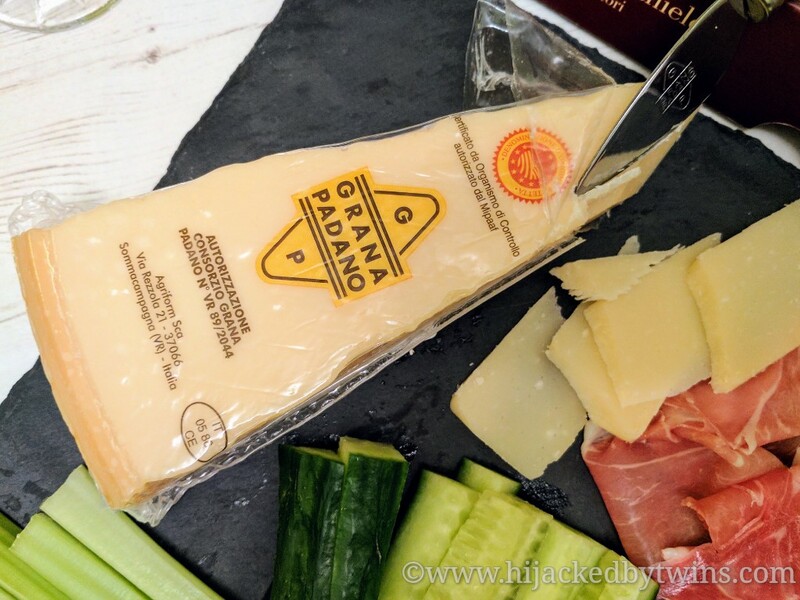 So when I was asked if I would like to try some Prosciutto di San Daniele and Grana Padano cheese direct from Italy. I simply could not resist. Italian cuisine is one of our most favourite foods and trying different produce is all part of the fun. 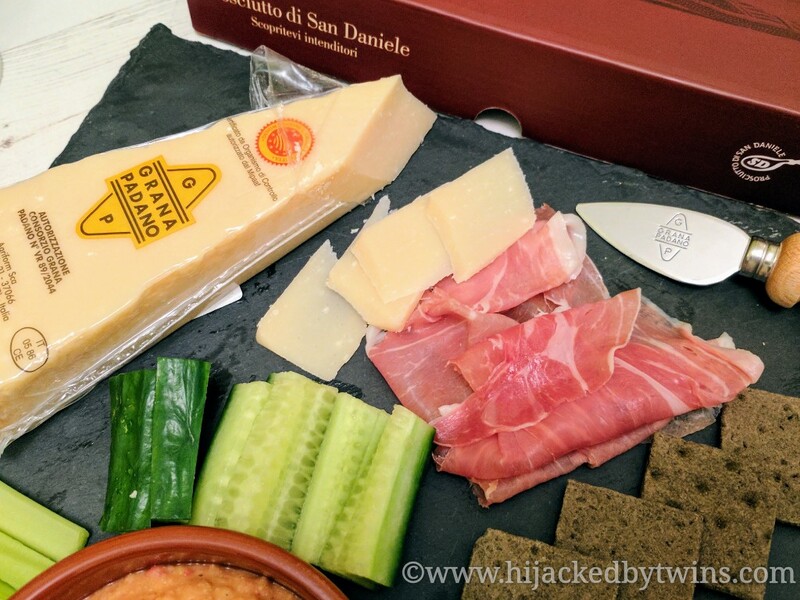 Prosciutto di San Daniele and Grana Padano Cheese have both been recognised by the European Union as Protected Designation of Origin (PDO) products since 1996. In order to achieve PDO status, products must respect the strict Production Specifications. The PDO logo guarantees that the products are of the highest quality, authenticity and traceability. San Daniele del Friuli is a perfect place for curing prosciutto. The breezes of the Adriatic Sea combined with the fresh air from the Alps, the morainic hills curb humidity and the Tagliamento river regulates the temperature. 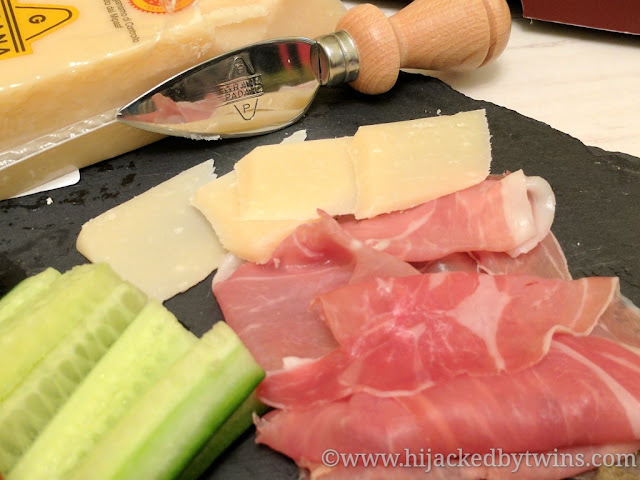 The climate and traditional processing, which has been perfected over the years, gives this prosciutto a delicate taste that literally melts in the mouth. Its aroma grows more persistent as maturing progresses. Prosciutto di San Daniele is natural, Italian and unique as it is made only with selected thighs from Italian pigs, sea salt and the special microclimate of San Daniele del Friuli. No types of additive or preservatives are used. The recipe for Grana Padano Cheese was invented by Benedictine monks as a clever way of preserving surplus milk. Over the years the reputation of Grana Padano Cheese was established and quickly it became a highly esteemed ingredient at Renaissance banquets held by princes and dukes, as well as being a main source of nourishment for people in rural areas. The traditional methods of producing Grana Padano Cheese have been handed down and unchanged through the centuries. This is to ensure that the product continues to display the characteristics of flavour, aroma and texture, as well as appearance, for which it is world famous. Both of these products are incredibly versatile. They can both be added to pasta dishes and go perfectly with Mediterranean vegetables or grated over your favourite meal. To ensure you are getting these highest quality of meat and cheese simply look for the PDO logo. Disclosure: I received the meat and cheese for the purpose of this post. No cash payment was received. All views are 100% honest.